How do you stop bullying? Just by speaking up! If you or someone you know is a victim of bullies, tell your parents, teachers or another adult you trust. By letting other people know about it, you can help make sure it stops. The simple form below has been created to give you the ability to speak up! We care about each and every one of you and firmly believe that everyone deserves to work and play in a safe, secure, and respectful learning environment. For more information, please refer to the St. Francis de Sales Parent/Student Handbook. Think before you speak: Does what happened fit all 3 parts of the definition of bullying? Is the person acting mean on purpose? What is Bullying? 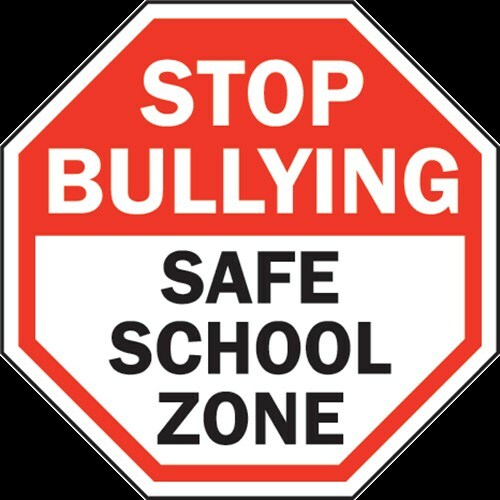 Bullying is when someone repeatedly and on purpose says or does mean or hurtful things to another person who has a hard time defending him/herself. The form below may be submitted anonymously; however, we strongly encourage you to use your voice and speak up for what is right. It will also allow us to follow up with you to insure the issue is resolved.